Three girls adjust their beaded bodices before a courtship dance.they know in their hearts they will marry the dancer with the most cattle who can afford the high bride price asked by their family. 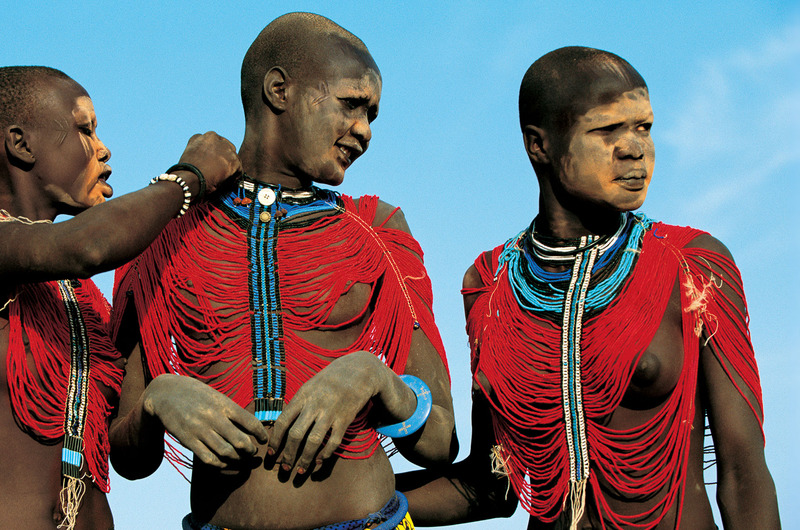 during six weeks of travel in 2006, we found only four dinka girls still wearing beaded bodices. Others, influenced by christian missionaries and the aftermath of civil war, had either discarded their bodices or sold them to traders.